Take me Back to Napa: a Bouchon Breakfast – Pao Says, "Open Wide!" For my senior graduation from Georgetown, my dad took me on an incredible trip to San Fransisco and Napa Valley. Truly unforgettable. To me, aside from the beautiful scenery and wonderful time I spent with my dad, the most memorable part of the trip was the food. One morning, my dad took me to a bakery called “Bouchon Bakery” that served a variety of small and delicious baked goods and sandwiches. 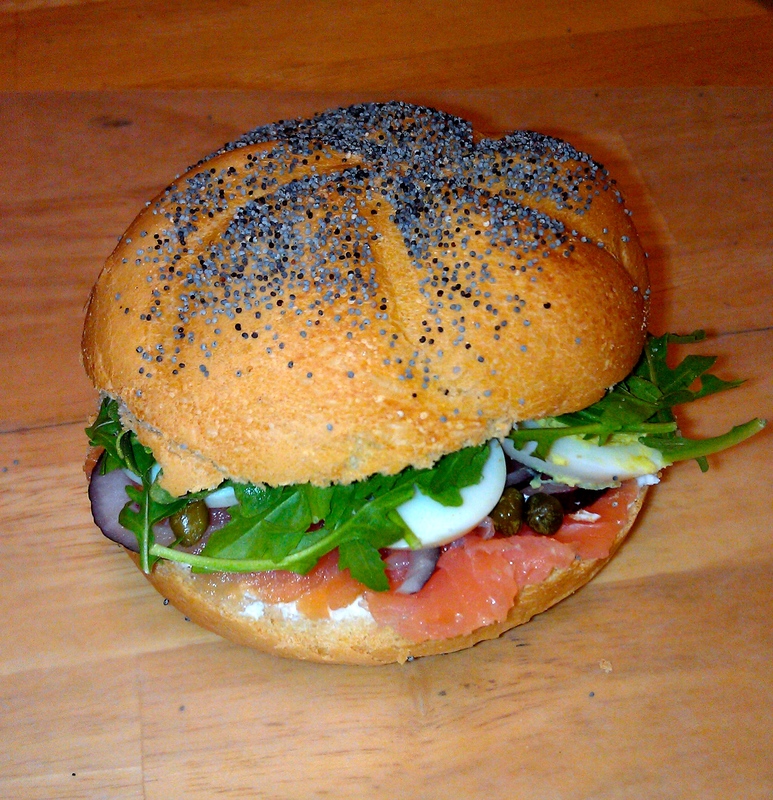 Among the many items we bought there, a lox sandwich was one of them. It stuck in my mind as a nice late breakfast meal, so I recreated it. Assemble your awesome sandwich and enjoy! !